This counted cross-stitch kit is great for anyone who loves needlework. 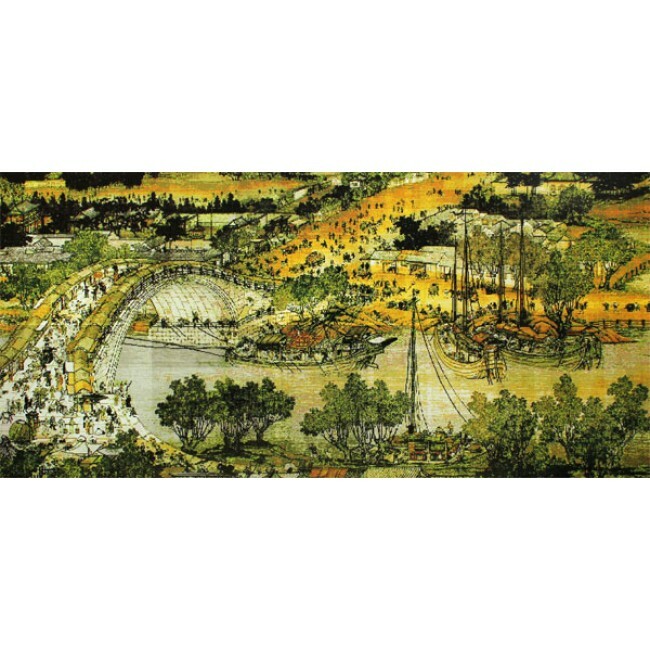 This Chinese cross stitch features the ancient Chinese painting - "the Qingming Festival by the Riverside". "The Qingming Festival by the Riverside" is perhaps the most famous Chinese landscape painting. It was painted by Zhang Zeduan, an artist of North Sung Dynasty (960 - 1234 AD). Contents: 11 count beige aida, pre-sorted threads, needle, chart, and easy-to-read graphed Chinese instructions.